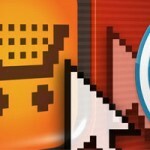 Top 5 Excellent E-Commerce Plugins for WordPress | URimagination, Inc. Please note these top 5 have been drawn based on popularity among advance technical implementers plus the extra added advance support from each vendor which total ended much higher that the initially advertised. Although we do recommend the reader to check them out, we don’t actually endorse any. Please chose carefully and or ask your technical team to help you evaluate each product prior to purchase or implementation in your production live site. With the internet being used more and more by your average consumer, you may be wanting to start your own online shop so you can unleash your products to all those potential customers. I’m sure you know that there are countless ways to do just this, but here I’m going to talk specifically about e-commerce plugins for WordPress. Maybe you’ve heard about the odd plugin that allows you to sell products from your WordPress blog, but you might not know exactly what they are. To help you on your way to selling your products, I’m going to tell you about the five best e-commerce plugins for WordPress. Ecwid is a free plugin for WordPress. It is a full shopping cart/e-commerce system that is extremely easy to install and even easier to maintain. It’s also customizable so you can have it looking however you like. See their showcase gallery that features live sites that use this WordPress plugin. eShop is another full e-commerce system for WordPress. Again, it is free and it is an all-around good e-cart. The admin area of the plugin is extremely simple to use and adding products, reviewing products and checking stats couldn’t be any easier. The whole system is customizable so you can have it looking awesome. Worm Sign T-Shirts and A La Modern are two e-stores to check out to see how the plugin works in the wild and how it can end up looking with customizations. The downside to eShop is the payment options. You can only accept either PayPal, Payson or use eShop to take in payments for you. When using eShop as a payment method, you will not be able to print an invoice for the customer as you would be able to with PayPal. I hope that this will be upgraded eventually, and apart from the limited payment options, eShop is a very good cart. This is another free e-commerce solution for WordPress. WP e-commerce is one of the most used out there in this space, and it has a lot more features than eShop. To say that this is merely a “plugin” in the conventional usage of the term is a disservice to this amazing WordPress-based e-commerce solution. Some very complex and robust sites out there use this plugin. For example, both IconDock and City Surf use this plugin to run their business. IconDock in particular has a very unique drop-and-drag interface for buying products. With WP e-commerce, you can accept manual payment (checks/money orders), PayPal Payments Standard, PayPal Payments Pro, PayPal Express Checkout, Google Checkout and Chronopay. There is also a Gold version of the cart that has many more features and accepts more payment types. And on the site, they have a number of add-ons for the cart such as product sliders and shipping modules. The only shortcoming with this one is printing invoices. There is no option to customize an invoice, but you can still view the invoice and print it via the web browser. Shopp is an excellent cart plugin for WordPress, but excellence comes with a price. That price starts at $55. For that price, you’re getting a single license for the software, and then you can buy extra plugins such as payment gateways, shipping modules and priority for support. But for any business venture, $55 is a negligible business overhead, especially for something as critical as a system that handles your product purchases. The plugin is extremely easy to install and use, and it seems a lot cleaner (interface-wise) than the free plugins. The customer support is good and there is quite a bit of documentation, as well as a user forum, on the official site. The sites that they have featured in their showcase are nice sites (Soigneur and Gourmet Candle Co. are just two of them), and the look of the cart is easily customizable. There is very little to fault with this one; I personally found nothing during my testing and the only problem I heard of was when another WordPress plugin was conflicting with it. PHPurchase is another paid plugin costing $49 for the Standard edition and $99 for the Pro version. Similar to Shopp, it seems to be of better quality than the free versions as well as slightly easier to use. It has the same features as the previously mentioned plugins, but accepts a few more payment gateways including PayPal Website Payments Standard, PayPal Website Payments Professional, PayPal Express Checkout, eProcessing Network, Chase Paymentech, Quantum Gateway and Authorize.net. The system is highly customizable. WeGraphics and Hydrapak are two examples of how you could get your site looking after customizing it all. Overall, this is a very good e-commerce solution. As with all systems, you should expect to run into some bugs as you use it, but I personally didn’t find any during my testing. Picking an e-commerce solution depends on how much money you are wanting to spend (if any), what you need your e-commerce solution to be doing and how much knowledge you have in relation to running, developing, and customizing e-stores. All of the solutions I’ve mentioned are perfect for small- and medium-sized projects, but are probably not ideal for managing a full-scale, Amazon.com-like e-commerce website selling thousands of products. For that kind of size, you’re probably better off looking into a custom-built solution or a dedicated e-commerce publishing platform like Magneto, Zen Cart, or Shopify. But if you already know how to use WordPress, your needs aren’t like Amazon.com, and you want an e-commerce solution that integrates well with your other content management needs — using an e-commerce WordPress plugin is definitely something to strongly consider.